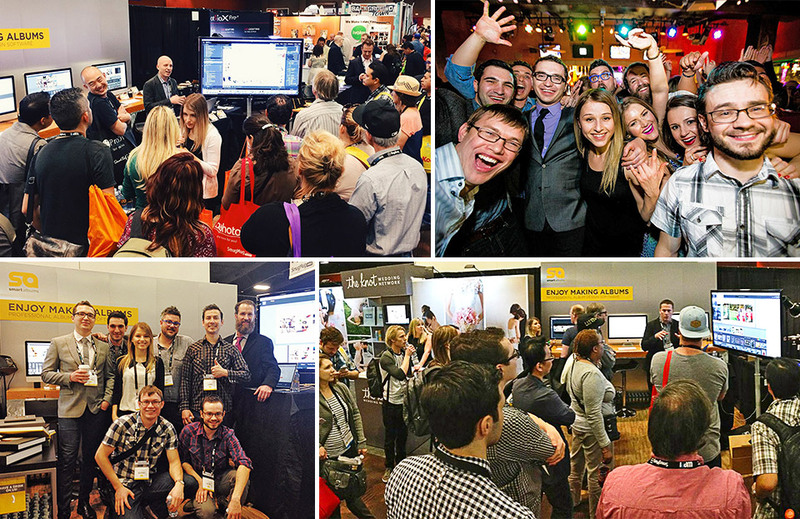 The Pixellu team has just returned from Las Vegas & WPPI after showing SmartAlbums to literally thousands of photographers. The response has been overwhelmingly positive for which we are extremely grateful. After working on the software for over a year, hearing the praise and the compliments is so very encouraging. One of the best parts was meeting our users in person, especially those who have been with us since the days of beta testing. Of course we also met hundreds of photographers that have never heard of us and we enjoyed showing them SmartAlbums to them for the first time and seeing their amazement. Three days of non-stop conversations, parties, and excitement and is definitely fun, but also exhausting. So even though we are grateful to have received so much positive feedback and to have had really good times in Vegas, we are happy to be home. It’s time to get to work and take SmartAlbums even further. Hope to see you in Las Vegas next year! Here are a few photos from our trip to WPPI. Party photos by Robyn Navarro and Fearless Photographers.